Urban Poling is pleased to announce that we will be offering a pre-conference course at the Canadian Centre for Activity and Aging (CCAA) Conference in London, Ontario June 7th 2018. First of it’s kind, we will be introducing the Ultimate ACTIVATOR & Urban Poling Combination Course! The course features all of our highly requested learning tools in a 4 part series. Motivate your clients while significantly improving treatment outcomes for balance, core strength, posture, endurance; reducing impact on lower extremities and joints;and promoting functional gait patterns. Learn how this dynamic evidence based patent pending tool [ACTIVATORTM Poles] is revolutionizing rehabilitation and is being used extensively in all continuum’s of health care instead of passive mobility devices such as canes, crutches and even walkers. 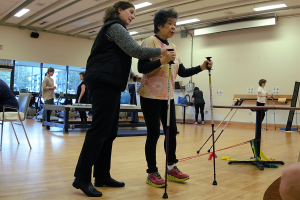 Using the poles with orthopaedic, neurology, older adults & spinal conditions Nordic walking/ Urban Poling technique for managing diabetes & cardiac rehab. Urban Poling Inc. has collaborated with the March of Dimes to expand the awareness of the ACTIVATOR™ program for these clients. Through this work a variety of exercises and strategies have been developed to facilitate rehabilitation and promote active living. 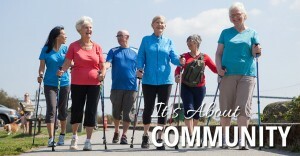 The Urban Poling Certification Course will teach participants the practical skills of Nordic walking and how to teach Nordic walking to others.